President Luis Guillermo Solís announced a new partnership with the U.K.’s Oxford University on Thursday that he hopes can improve Costa Rica’s stagnant poverty rate. Costa Rica will begin using the multi-dimensional poverty index (MPI), developed by the English university, in the hope of more effectively leveraging the country’s social assistance programs to tackle extreme poverty. Costa Rica has enjoyed moderate economic growth and one of the lowest homicide rates in Latin America during the last two decades but the country’s poverty rate has remained stubbornly high at roughly 20 percent of the population, according to the State of the Nation report. 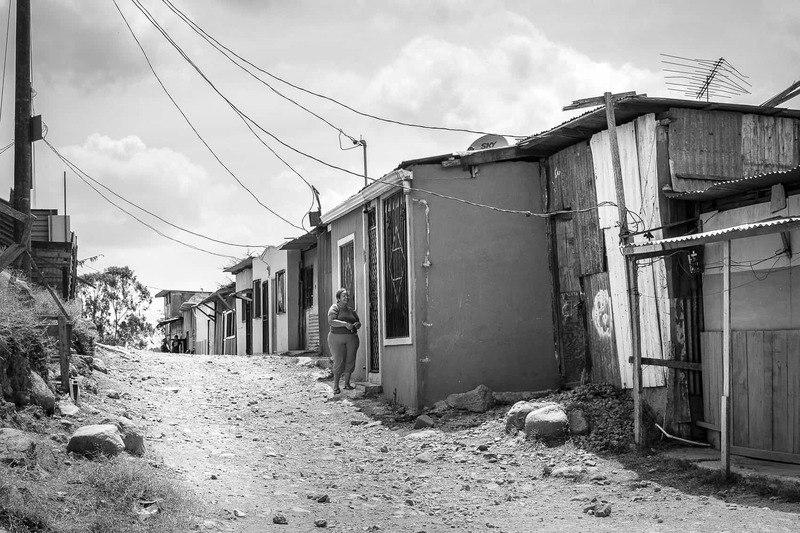 Costa Rica is one of the only countries in Central America to see growing inequality. The MPI takes a more holistic approach to poverty by measuring access to public services, unmet basic needs, education, housing, employment and health alongside income. Costa Rica traditionally has measured poverty by income alone. Casa Presidencial said that Chile and Uruguay have seen positive results in combating poverty thanks to the Oxford index. Vice President Ana Helena Chacón acknowledged that Costa Rica’s current levels of investment in anti-poverty programs have not had their desired impact. “We’ve noted that despite efforts to maintain a high level of social investment the number of poor people has increased in Costa Rica to the point that some 33 percent of homes are in vulnerable conditions, which is to say they’re poor or under the threat of becoming so,” Chacón said. Stating that there are no “magic solutions” to the country’s poverty and inequality woes, Solís said that the information provided by the index would allow the government to more effectively target social assistance. “We’re going to focus on the creation of policies that reach the people with the greatest need of support and guidance from the State. Social assistance programs are important but we need them to be effective in their application and reach,” Solís said. Costa Rica has struggled to address its flat poverty rate in spite of 22 social assistance programs and economic growth expected to exceed 4 percent in 2014. Any significant reduction in poverty during Solís’ term in office would be a major success. Solís said that more than 1 million of the 4.3 million Costa Ricans live in some form of poverty.